Team 7 kitchens are well designed, organized and gorgeous. Now add to that the ingenuity of the k7 adjustable kitchen island from Team 7. 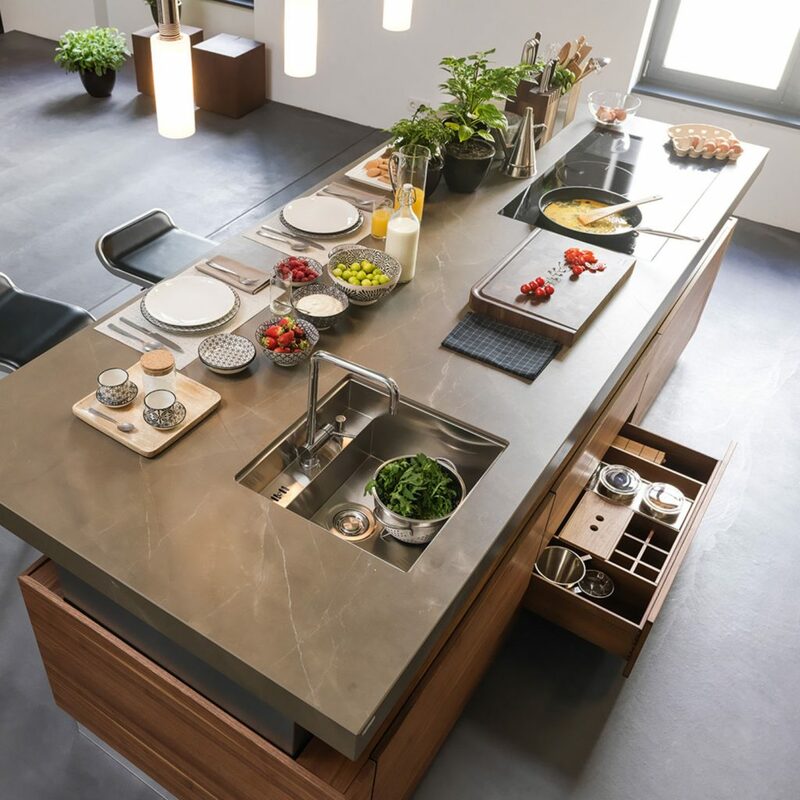 The k7 kitchen's stunning centerpiece is an adjustable worktop which works via a flush mounted control element. The lift technology patented by TEAM 7 has a practically soundless operation and is safety tested. The flush-mounted pendulum handle is hidden behind its handle-free design. This is seamlessly integrated in the metal band on the fronts and is revealed with a light tap. 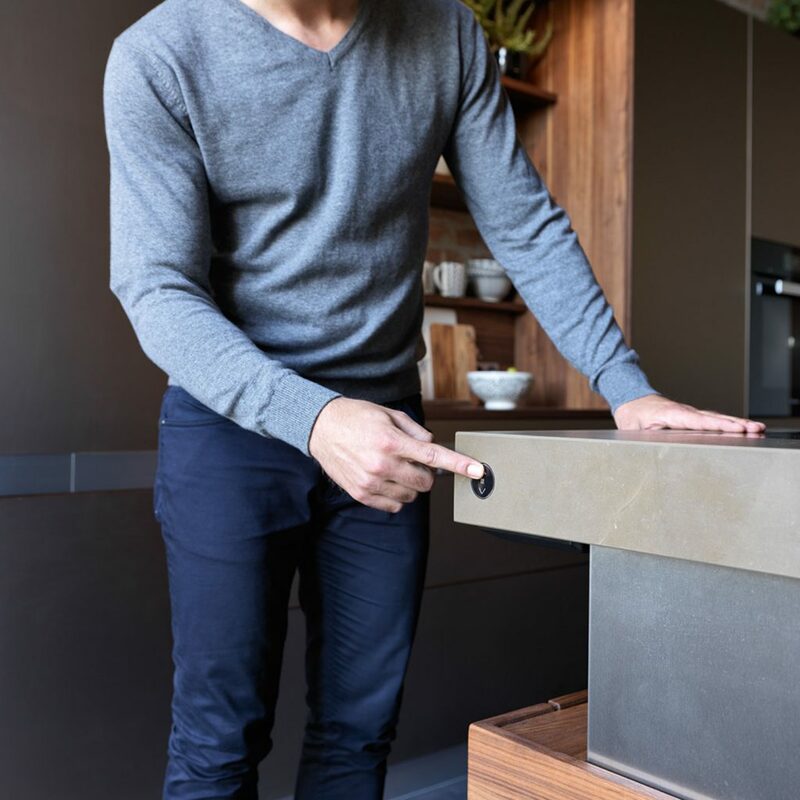 With the push of a button you can select whether you want your k7 island to serve as a table, a workable counter surface or a bar. 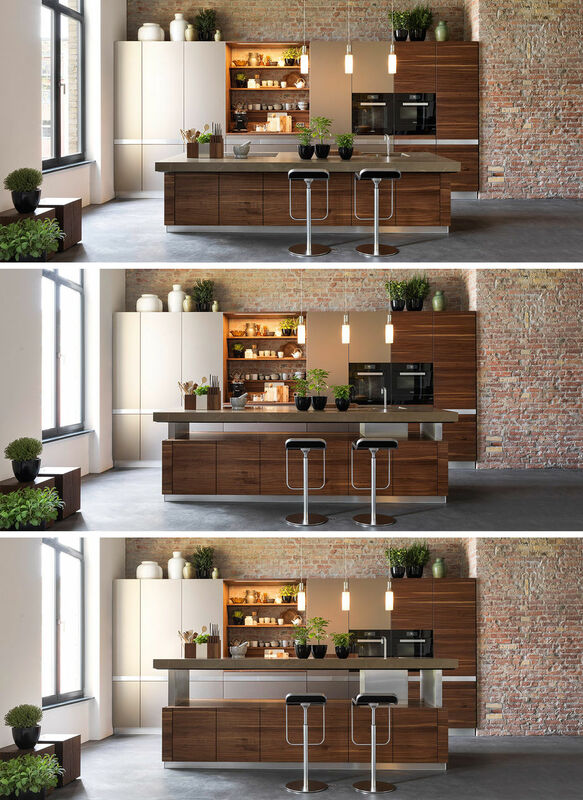 This functional and flexible workspace elevates the functionality of your kitchen and surrounding rooms as well. 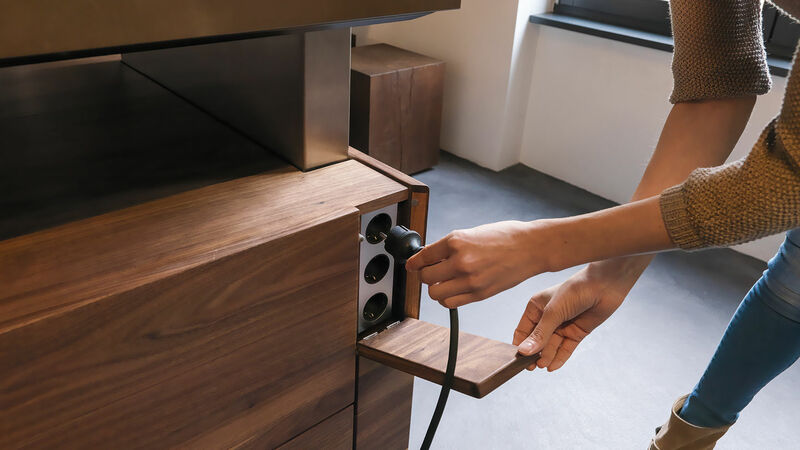 The infinitely height-adjustable worktop of the k7 kitchen island can be adapted to your activities and needs. If you are having guests over it might start out as a countertop as you prepare your meal. Once your guests arrive you can adjust the table to bar height to serve some drinks and appetizers. Lower it down to table height as you and your guests enjoy your meal. Maximum convenience and comfort are available to you at the simple push of a button.